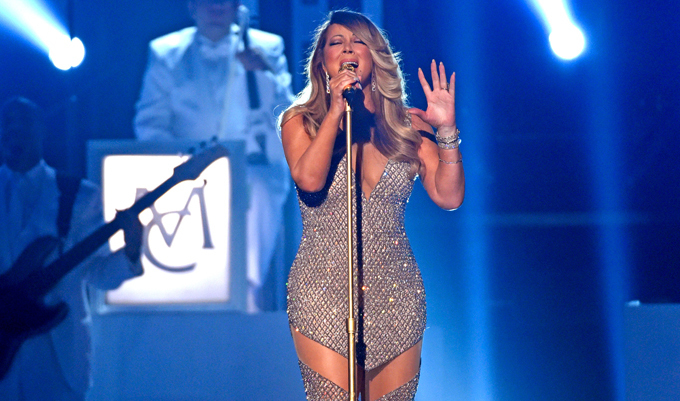 Thanks to her new collection, #1 to Infinity, Mariah Carey has enjoyed a resurgence in 2015. It continued on Sunday at the Billboard Music Awards, where Carey performed two tracks backed by a 14-piece band. The 45-year-old, who canceled a performance last week because of a bout of bronchitis, started with a pitch-perfect rendition of “Vision Of Love”—her first No. 1, which turned 25 on Friday—before segueing into her most recent single, “Infinity.” The song has a long way to go before topping any charts, but Carey gave it as rousing of a performance as the track that put her in the map two decades ago. Surrounded by of-the-moment pop stars half her age, Mimi proved she still reigns supreme. Watch a clip of the performance below.